I especially like how quickly this dish comes together. It's really just a matter of tossing everything together effortlessly and even still, it's a dish that comes out looking stunning with the contrast of colors. Although I served this in mini cocktail bowls for our cocktail party, you can certainly serve this in a large salad bowl as is, over a bed of greens if you wanted. Another idea is to take the same recipe but mincing all the salad ingredients. Once combined with the dressing, you then have a great salad, similar to ceviche, that's perfect to serve with tortilla chips! 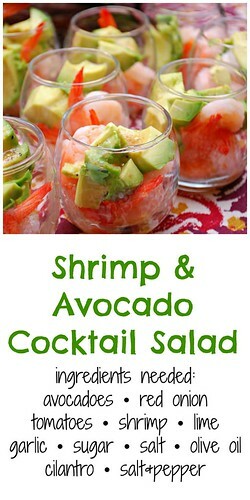 We've also used this salad as a filling for tacos - shrimp tacos! For tacos, you'll just need tortillas of your choice to serve the shrimp and avocado salad in... and no garnishes are even needed. They're delicious as is. One of my favorite things about this recipe is the cilantro lime dressing. 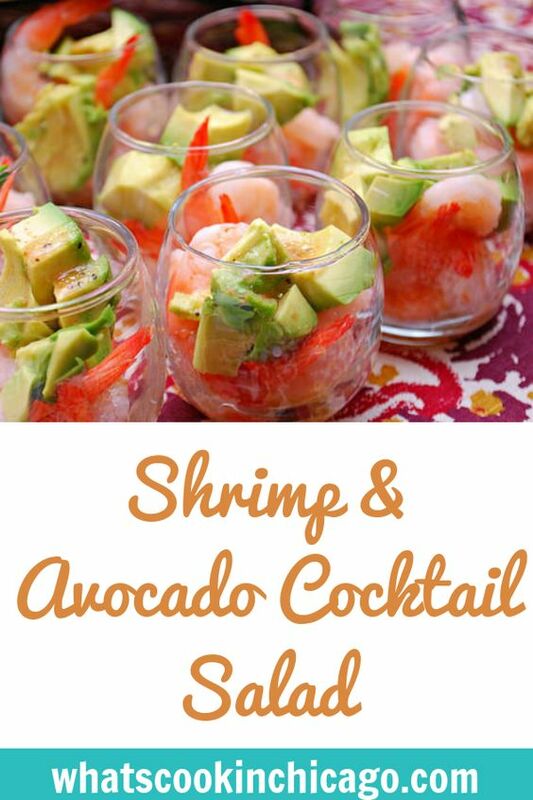 It definitely brings everything together and flavors the shrimp nicely. So however you decide to serve this, it's a great way to beat the heat and enjoy an easy, fuss-free meal! In a large bowl. combine all the salad ingredients; set aside. In a small bowl, whisk together all the dressing ingredients. Drizzle over salad and toss to coat. 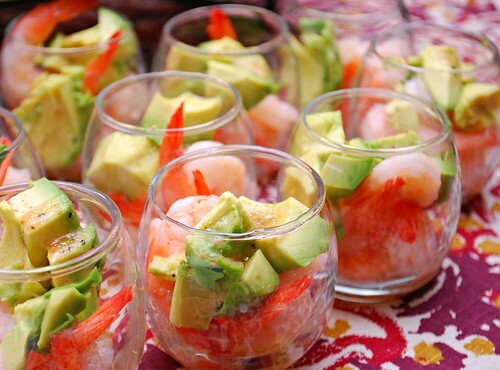 Serve cold in individual appetizer bowls.